We will build off of this example by adding bootstrapping. In this tutorial we will be using Autofac for our IoC, however you can easily follow the majority of the setup, and tweak the bootstrapper dll to use your IoC library of choice. 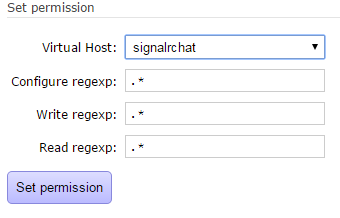 The first step is quite easy, follow the introductory tutorial for Signalr. 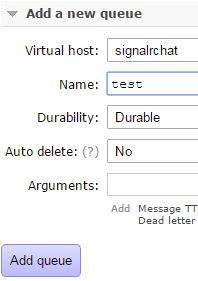 This is very quick, and at the end you will be left with a good starting point to build our horizontally scalable SignalRChat project from. Lets update a few nuget packages in our MVC, just so we make sure we are on the latest stable packages. The updated packages below have green checkmarks once complete. 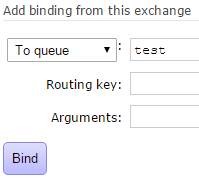 First, TestClass is only there to allow us to verify that dependency injection is indeed wired up and working. We will make a new project that will deal with bootstrapping. We can handle all of our dependency registration and setup within this project. In the MVC project, delete Startup.cs, because we will be moving this functionality to our bootstrapper. 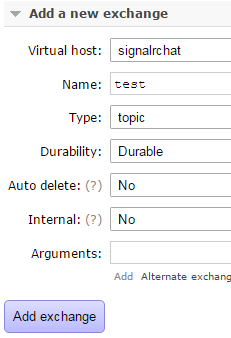 // Sets the dependency resolver to be autofac. 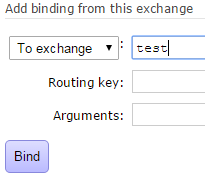 // Register the Autofac middleware FIRST, then the standard SignalR middleware. Now this class file has a few errors because our new bootstrapper project doesn’t have references to these libraries. So we will need to fix these compilation errors and wire up our owin startup. First let’s explain some of the lines here. This is a static helper method (which we create in step 5 below), which will register our hubs and any other classes which are necessary. 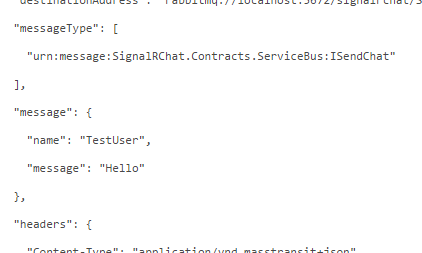 The rest of the configuration lines have to do with setting the dependency resolver to AutoFac (we aren’t using the built in one provided by .Net Framework anymore) for SignalR and OWIN. The details are all explained nicely here. If you are using a different IoC, this is where you would need to adjust your bootstrapping code appropriately. 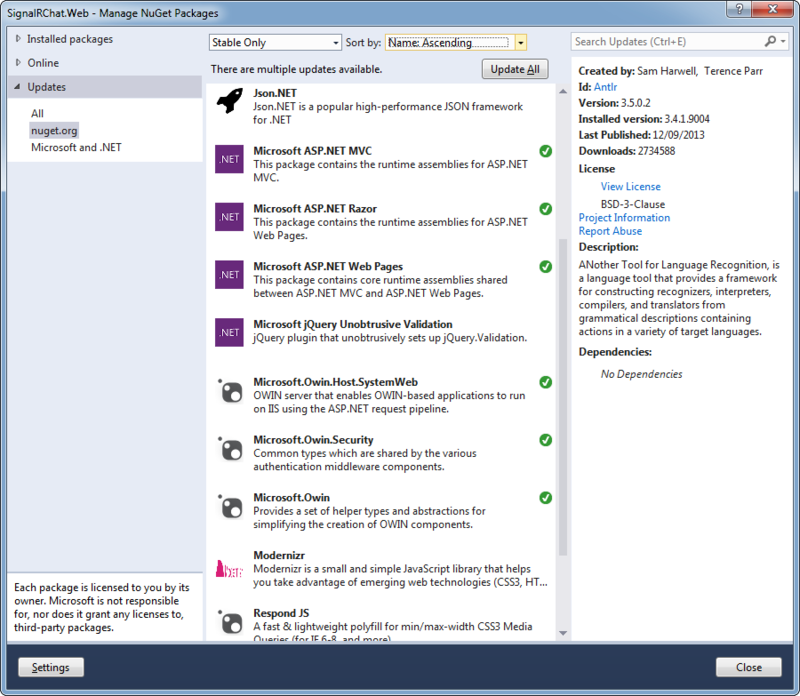 Important note #1: You’ll notice after running all of those nuget commands, the project now has an app.config file. You’ll notice it has some entries for runtime binding redirect, which is needed because signalr.core references older versions. But luckily, Web.config already references these binding redirects, and fortunately the .config file for the executing assembly takes precedence over all others. So in this case, the Web.Config is used, and it already has these exact same runtime binding redirects (plus several others). So you can safely delete app.config if you like, or leave it. 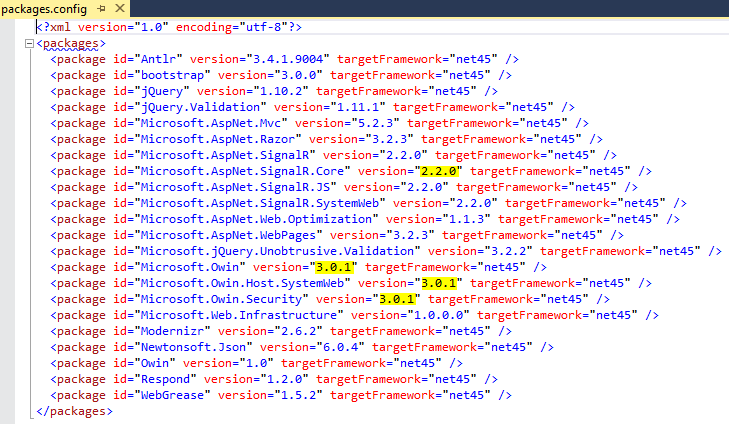 Important note #2: You might also notice that we specified the versions of the nuget packages as well. I made sure these versions matched the versions in our MVC packages.config. We did this because we want to make sure that the version we reference in our SignalRChat.Web.Bootstrapper is the same as the version in the MVC project. A good practice to employ is make your versions match in different projects, because when you bootstrap everything at runtime, there’s less chance to get errors because of incompatible versions. 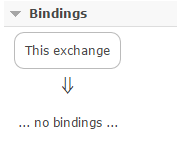 You will notice that we didn’t bother to include versions for the autofac dependencies. This is because we don’t have autofac as a reference in any other projects in the solution, so I’m not concerned with trying to make the versions match. 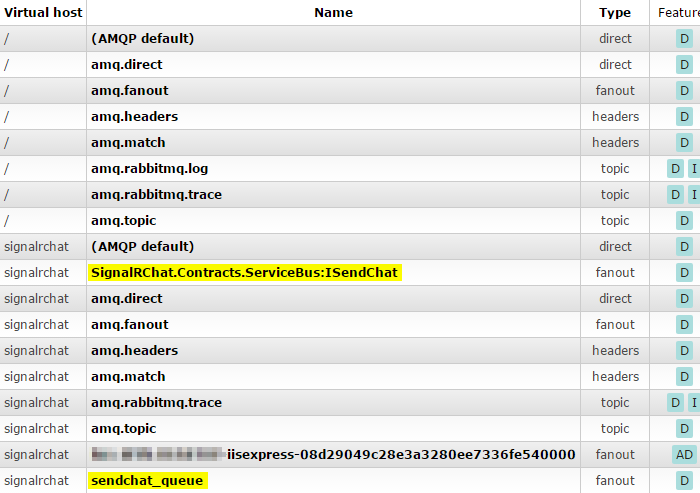 Now you can run the project, go to the ~/home/chat and it will function as it did before, but we are using IoC with Autofac. The final solution can be found on github here. Please check back for another tutorial that builds off of this. 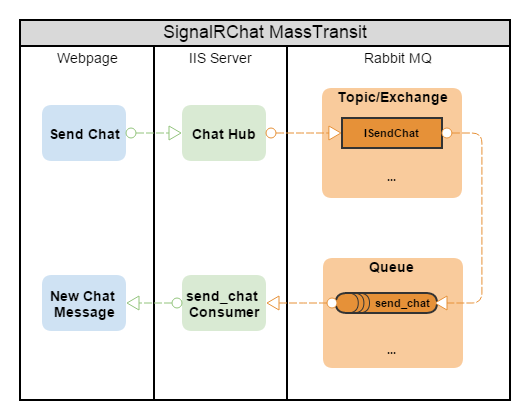 We will look at using MassTransit to pass our chat messages around to help the chat application become horizontally scalable.